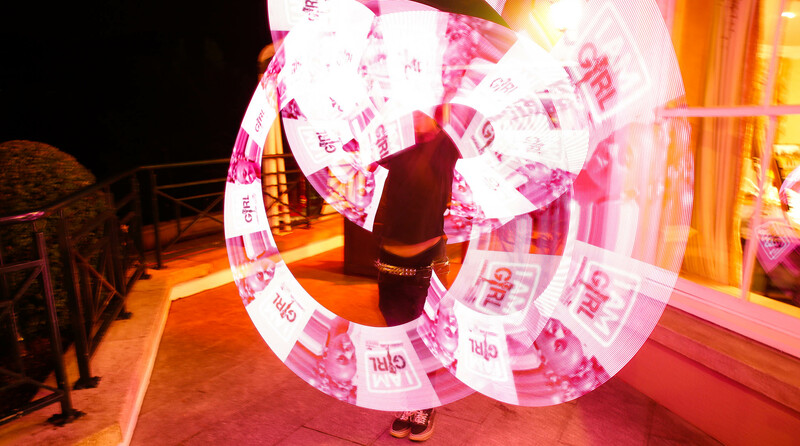 Fire Performers are a 100% safe LED fire show and allow the insertion of logos and images directly into the spectacle. 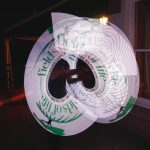 Hire a Fire Dance act for PR Events, Corporate Entertainment, Exhibitions, Greeting Hosts, Weddings and Kids Parties. Tell us exactly what you need by clicking your options above. Only pay a 10% basic deposit to confirm your booking. Your performers will call you personally before the event. Bring Excitement and Attention to your Next Event. Book a Fire Performer. 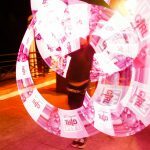 Our digital fire team create unique and memorable performances for events nationwide using the latest LED - Fire systems. 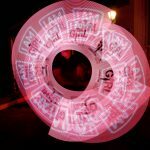 Put your logo or a photo directly into the show creating a unique branding experience. 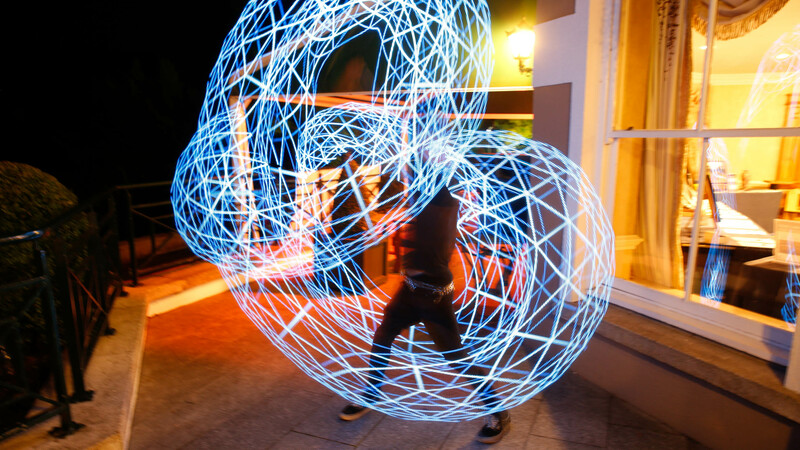 We customise every show in a flexible & fun way so your clients will be amazed at the latest fire performance. 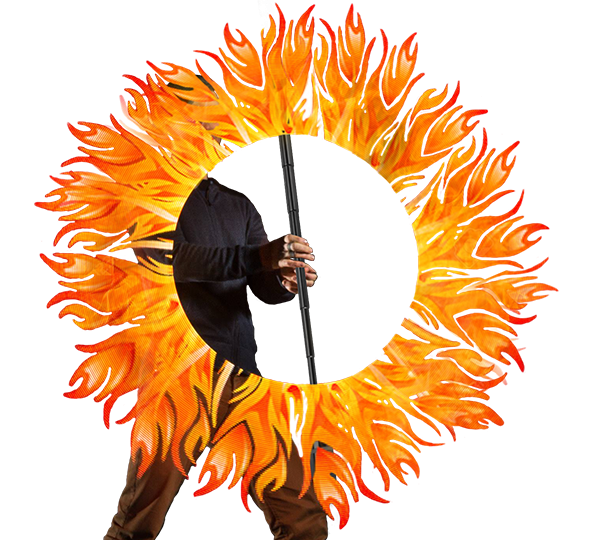 Fire Spinning is an art mastered by few - and today you can book a talented Fire Spinner to bring excitement to your event. 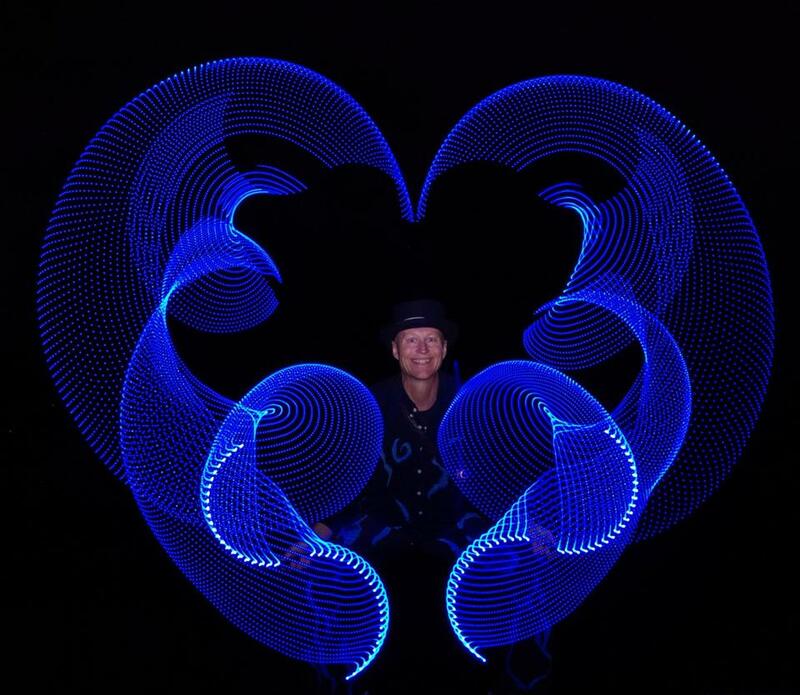 LED flame dancing is a modern alternative to the classic fire routine - just as exciting, but much safer even indoors. 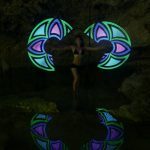 What are Digital Fire Performers? Fire dancing and fire breathing have just gone through a thrilling change for the better. New digital LED technology has been introduced to allow fire performances to come indoors for corporate events and celebrations in a safe and interesting way. Be it a large festival or a corporate event this performance offers variety in a modern way. 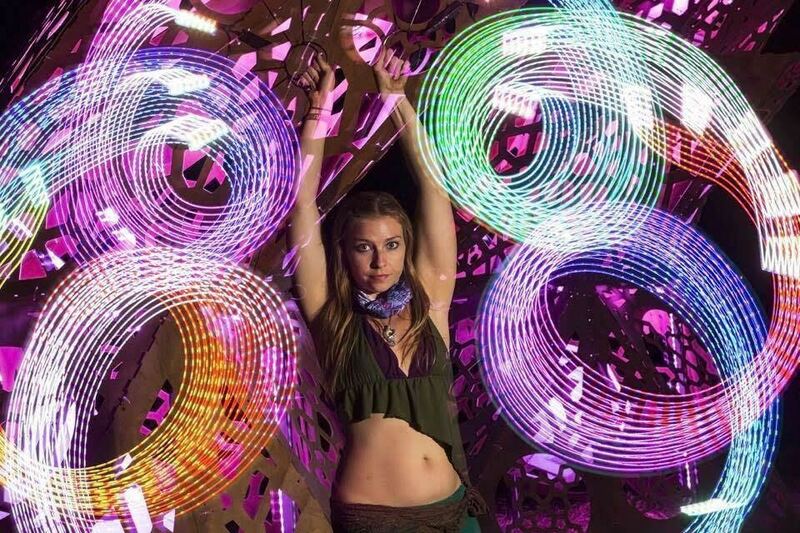 LED Flow art is fantastic and needs to be seen to be believed. 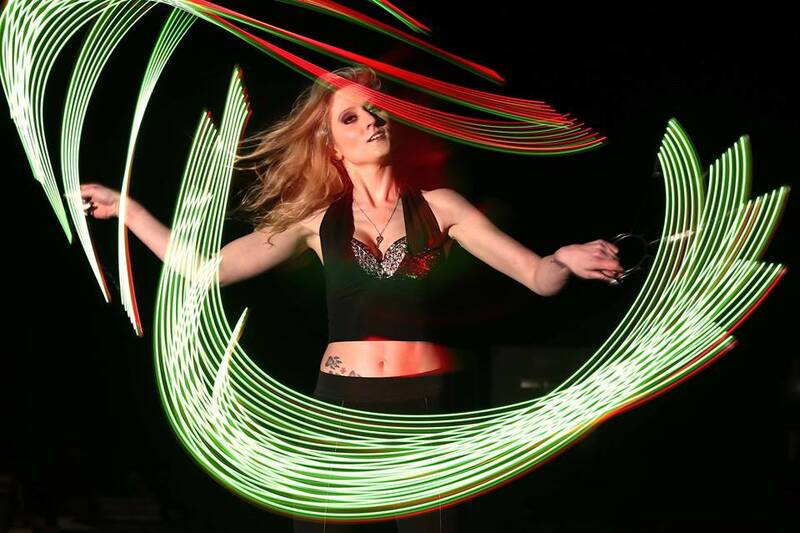 Don't hesitate - Hire today our incredible entertainers for a Fire Dance that has to be seen to be believed! With 100% Safe LED POI Sticks. 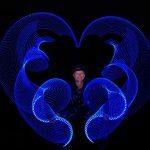 BookA Digital Fire Performer for your next party or corporate event. 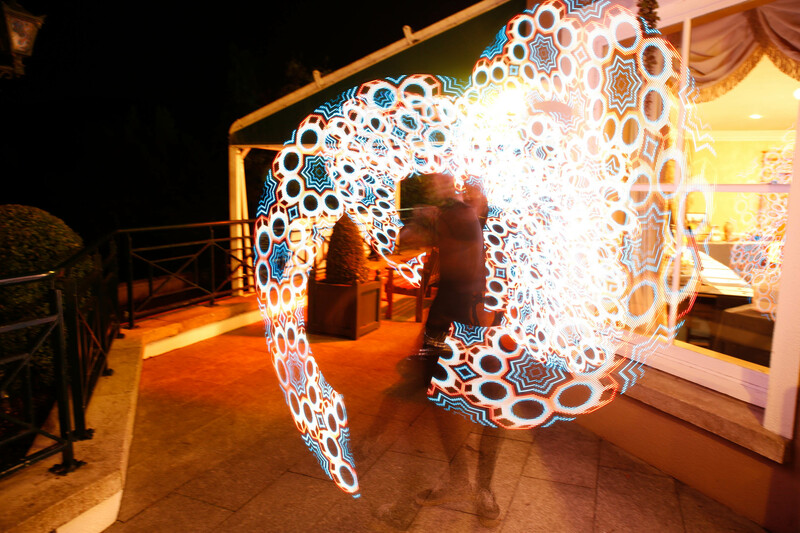 Digital Fire is the latest performance art to land in the world of Media events and entertainment. 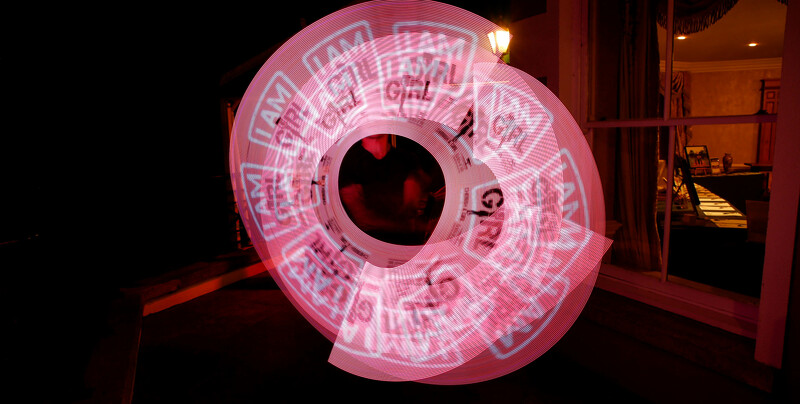 Insert your logo or photo's directly into the fire show along with your own personal message. 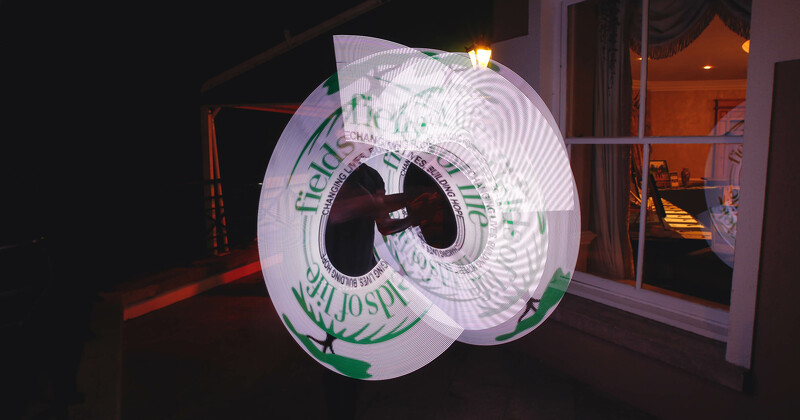 Stunning visual display that keeps changing and leaves guests in awe. Have a fire display indoors! with no risk to customers, guests or the venue. Fully programmable, super bright LED technology to create the WOW factor. Digital Fire is perfect outside at the entrance to your event or indoor up on the stage. 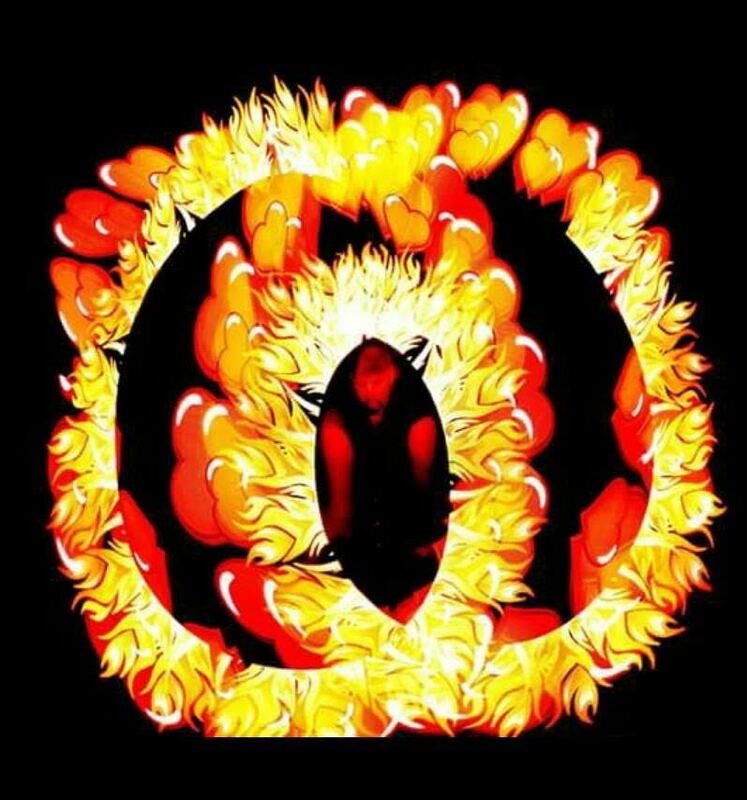 Fire Art is perfect for large festivals, corporate events, private parties and night clubs. 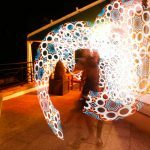 Create unique branding experiences for your clients or guests with digital fire art. 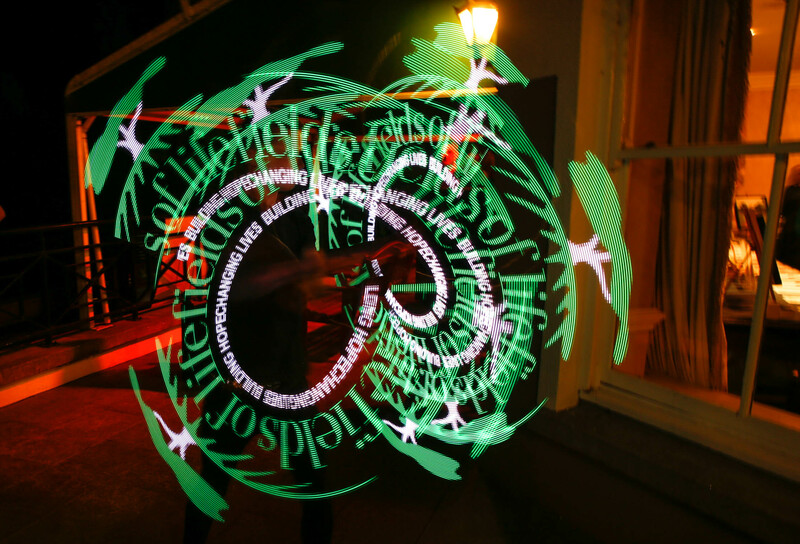 Digital Fire Art will create the most dramatic of entrances available for guests. View our promo and photos. We were looking for new ideas to welcome guests to our corporate event, the guys nailed it and really delivered on their promise. We had our brand logo inserted into the show which was a real wow factor effect, highly recommend to anyone looking for a really cool fresh new idea. We were delighted with the Digital Fire performers, and being able to insert the Award winners' images into the show was incredible. 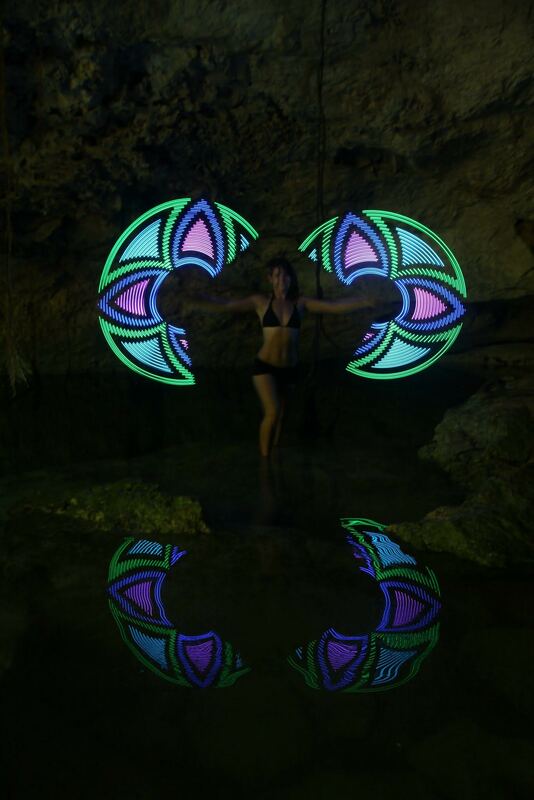 It's incredible in the dark, the way they light up needs to be seen live. It was 100% safe so we used it indoors in the hotel which was always an issue previously with real fire. 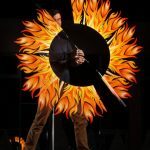 Fire Dance: How much does hiring a Fire Performer cost? 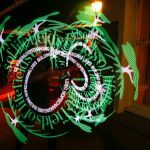 The price of a fire show starts as low as 195 € and scales up very reasonably according to your needs. Just choose how many entertainers you need, what flame spinning style you are looking for, and how long you want the spectacle to last. The full price will be shown to you right away and you only have to pay a 10% deposit to secure your booking immediately for the chosen event date. 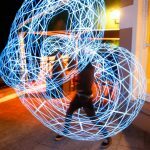 Fire Spinning: Do you have a Money-Back Guarantee? Every booking you make on any of the websites in the BOOKA Network, including BOOKA Fire Performer, come with a 100% satisfaction guarantee. If you are not happy with your Fire Performers you can get your money back. 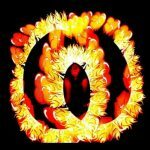 Fire Dance: What are the Requirements for the Venue? 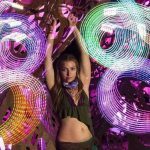 Our Fire Spinning show can take place in the open air or in a venue with no special safety requirements that need to be met. 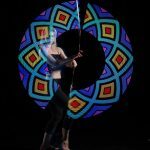 Due to the nature of the show (using LED POI Sticks instead of conventional pyro show props) there are virtually zero chances of injury associated with the act. 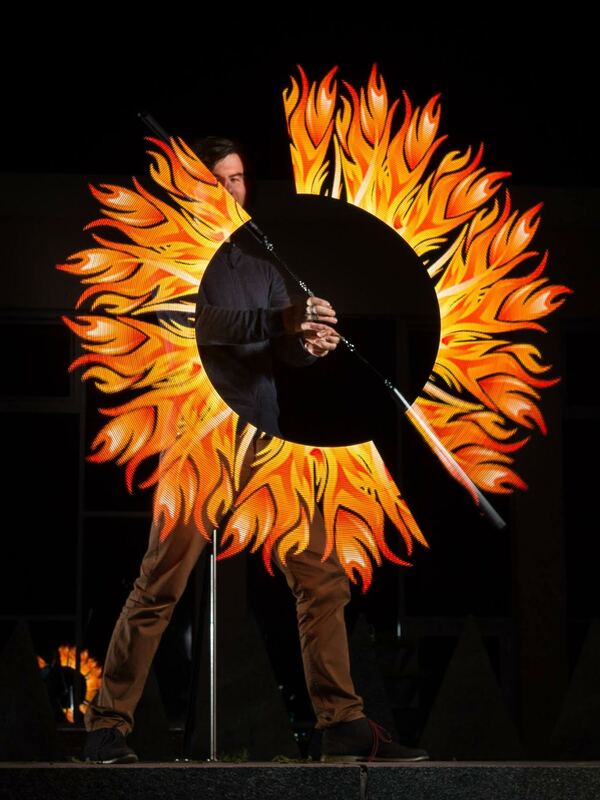 Fire Performers for hire in Ireland at low fixed prices. 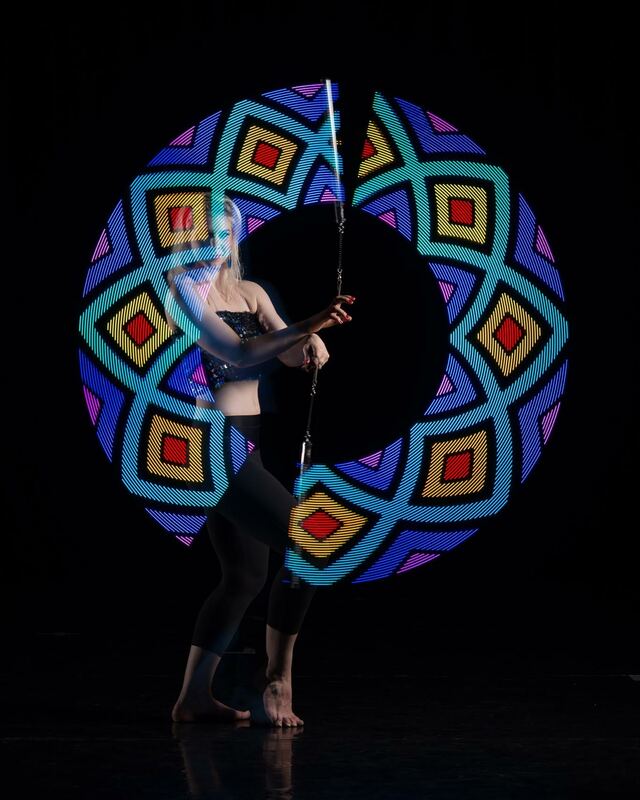 Book a Fire Dance Show for your special event today - in Dublin and beyond. 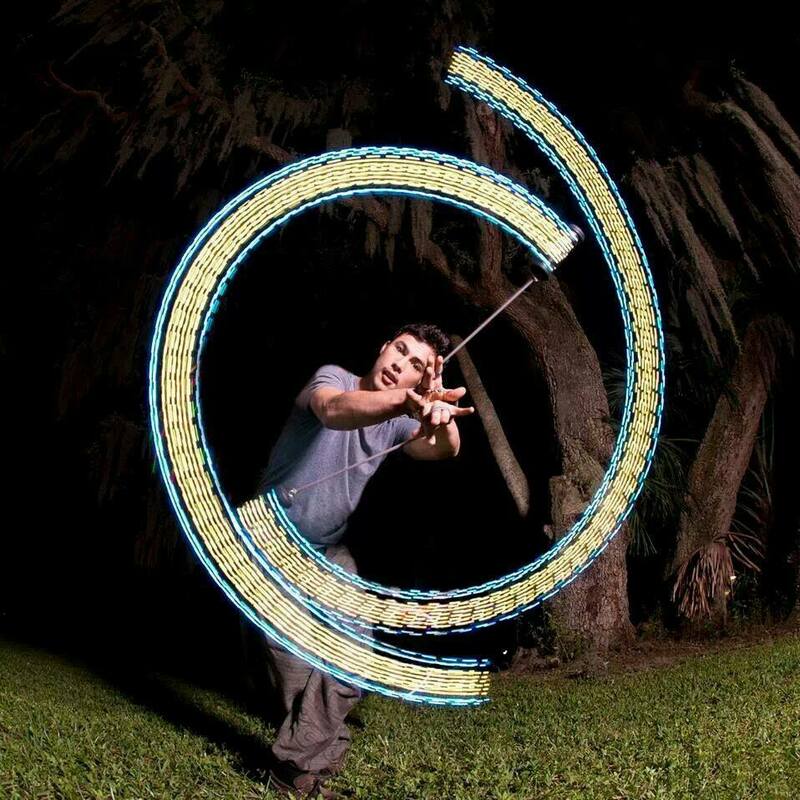 Having served countless clients in over 25 years, BOOKA Fire Performer and its sister company for Fire Performer booking - Digital Fire Art are the #1 choice when it comes to LED Stick Juggling / POI Spinning in the country. Do not hesitate to contact us if you have any questions, and book online for incredible cost savings right on this page!